Microbial life is vastly different indoors than out. Is it time we started designing spaces for microbiology? This is part three of a four part on series on the significant but largely unknown impact that microbes have on our lives. Read the rest here. We spend an awful lot of time indoors. The Australian government’s Department of Sustainability, Environment, Water, Population, and Communities reports that the average Australian only spends around 10% of their time outside, which is on par with the rest of the developed world. However, 10% still translates to about 2.5 hours a day, and most days I know I don’t spend even that much time outside. The remaining 90+% of lives is spent indoors. We breathe air that is filtered through mechanical ventilation systems, and then heated by furnaces or cooled by air conditioners. We walk on carpets made from synthetic fibres, or plastic resin floors held in place by industrial epoxies. Most of the surfaces we touch in our homes are hard, dry, and disinfected regularly with soaps and detergents. The indoor microbial milieu is vastly different than the life we encounter outside. Since we know that many of the 100 trillion microbes living on your body can have an impact your health and behaviour, it seems equally important to understand where the microbes we spend 90% of our lives bathed in are coming from. Such questions are driving microbiologists and ecologists to collaborate with engineers and architects to investigate the microbiome of the built environment. The built environment includes not just the wood, steel, and other physical materials that make up our homes, but also the environment that surrounds the building, and the objects with which we share the space inside. When you enter a room for the first time, your body naturally harbours microbial communities that are quite distinct from those found in the room. As the two ecosystems begin to interact, the room’s microbes begin find their way onto you, while your microbiome begins colonizing the room’s surfaces. 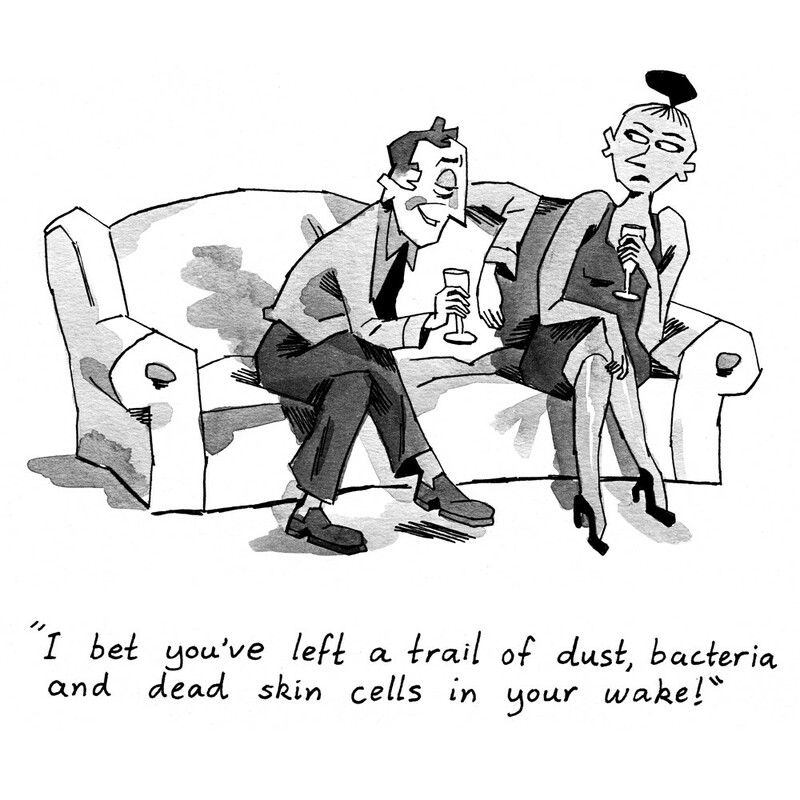 You are constantly shedding a cloud of dust everywhere we go, with the average person leaving behind around 1.5 million skin cells and over 15 million bacteria every hour. This microbial fingerprint is more similar to an actual fingerprint than you might imagine. Researchers from the University of Colorado Boulder were able to accurately match a person to their keyboard and computer mouse based solely on the microbes that they left behind. Using similar techniques, a group from the University of Chicago was able to determine which rooms of a house were used most by various subsets of unrelated roommates. These techniques are still in their infancy, but understanding how microbes flow between our bodies and our environment has clear implications in the context of hygiene and disease transmission. Because of the potential to spread harmful pathogens, much research is now being down on microbes that live in public restrooms. One study found that microbes on bathroom surfaces could be characterized by the part of the human body that it interacted with most frequently. For example, doorknobs, faucet handles, and soap dispensers were all colonized with bacteria normally found on the skin, whereas most toilet surfaces were contaminated by gut-associated bacteria. They even found that some toilet handles had more soil microbes than skin or gut microbes…evidence that people were using their foot to flush! Hand blow dryers have become a staple in most public restrooms, and have been widely touted as being a more sanitary option. However, a recent study found that these hand dryers drastically increased bacterial aerosolization relative to paper towels and caused microbes to be blown all over the room when drying hands. The investigators concluded that hand dryers actually facilitate cross contamination suggest that they shouldn’t be use in healthcare settings. Hospitals also have enormous disease transmission potential. Preventing sick people from reinfecting the healed is a constant battle in healthcare facilities. In fact, the most common complication in Australian hospitals is healthcare-acquired infections, so understanding how the hospital itself contributes to disease transmission could greatly increase health outcomes. In one study, researchers compared the microbial communities from rooms with standard HVAC ventilation to rooms with passive ventilation from open windows. They found that the rooms with open windows had much higher microbial diversity. However, the relative proportion of likely human pathogens was much higher in the rooms with mechanical ventilation, suggesting that some infectious agents may be transmitted through their accumulation in forced air ventilation systems. Simple interventions like opening a window could help reduce likelihood of getting a secondary infection during a hospital stay. 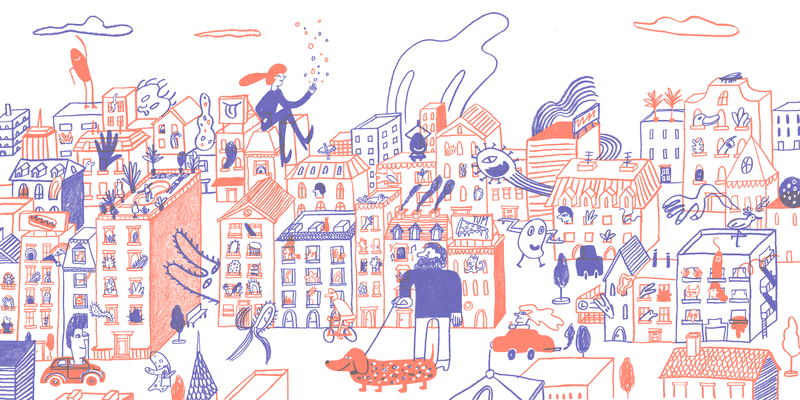 The Hospital Microbiome Project is taking a more direct look at the interactions between microbiology, architecture, design, and human health and wellbeing. In this massive study, researchers from the University of Chicago have been sampling a newly constructed hospital at hundreds of locations for over a year. Beginning prior to its completion, the research team took daily and weekly samples of air filters, sinks, showers, floors, desktops, and even the patients and medical staff. Altogether, investigators will collect more than 15,000 samples of everything from light switches and handrails, to medical equipment touchscreens and telephones at the nurses’ station. In addition to microbial samples, they are also collecting data on airflow, humidity, temperature, and building materials, as well as patient information such as length of stay and health outcome. These data will allow investigators to make predictions and test hypotheses about how patient health is influenced by the microbes that they encounter in hospital rooms. For example: is your microbial exposure during a hospital stay determined by the microbes of the person that used the room before you? Or is it more influenced by the other patients that your nurse interacted with prior to taking your temperature? Or is it simply determined by the airborne microbes that are blowing through the ventilation system? Or do they come from somewhere else entirely? The goal of this project is to collect enough samples and information that researchers can make robust conclusions about where microbes persist in hospital environments, how they got there, and which types of interventions (i.e. surface disinfectants vs. hand washing, forced air vs. passive ventilation, etc.) are most effective at preventing the spread of infectious disease. This may all seem a little over the top, but lessons learned during a 2011 outbreak of multi-drug resistant strain of Klebsiella pneumoniae in the US National Institutes of Health’s Clinical Center in Bethesda, Maryland, suggest otherwise. The outbreak lasted over six months and killed 11 people. Doctors knew that patients were being infected in the hospital, but were perplexed by their lack of overlap. Some of the patients didn’t share rooms, equipment, or staff with any other infected people, so how were they acquiring the infection? It wasn’t until they found K. pneumonia growing in drains was the mystery finally solved. The physical surfaces and objects that make up the hospital interior can affect your health and disease transmission much more than has been previously appreciated. Be it hospitals or our own homes, “The Great Indoors” is one of the next frontiers for microbial ecologists wanting to better understand the ecosystems that we spend the majority of our lives in interacting with. Making architectural, design, and management decisions that are informed by the study of microbiology will result in healthier, more productive living and working environments for everyone. Daniel Sprockett is a PhD student in the Department of Microbiology and Immunology in the Stanford University School of Medicine in Palo Alto, California, where he studies the ecology of the human microbiome. There are more microbes inside you there then there are cells of every organ and tissue combined. Gut Check! introduces us to our microbiome—what it is, and the surprising, complex ways it interacts with our bodies and our minds.